The release of the information, accessible here, comes with the world governing body seeking a long-term strategic partner to support its "ambitious vision" for table tennis. The new partner will be key to driving revenue increases, while further building the professionalism in table tennis, creating a "compelling" structure of events and improving the promotion of a sport said to be in "ever-increasing demand and brimming with untapped potential". The ITTF has set out to achieve comprehensive strategic plan objectives by 2024, but the focus is currently on 2021, which, it is claimed, will mark the dawn of a new commercial era for table tennis. That is when the ITTF will go to market with all of its commercial rights. It is hoped this will finally unlock the full potential of table tennis so that it can compete among the highest-profile sports in the world. The road to 2021 is already under way, since all of the ITTF's commercial rights were brought back in-house in 2017 and the ITTF strategic plan was launched in 2018. Significant progress is already said to have been made to improve competition structures and commercialise international events, assisted by the ITTF's close collaboration with the Sports Business Group at Deloitte. "The commercial rights tender will set out the significant flexibility available to prospective partners with regards to the commercial models that will be considered, the properties included and ultimately the way they are sold," ITTF chief executive Steve Dainton said. "Innovative models and proposals will be welcomed." 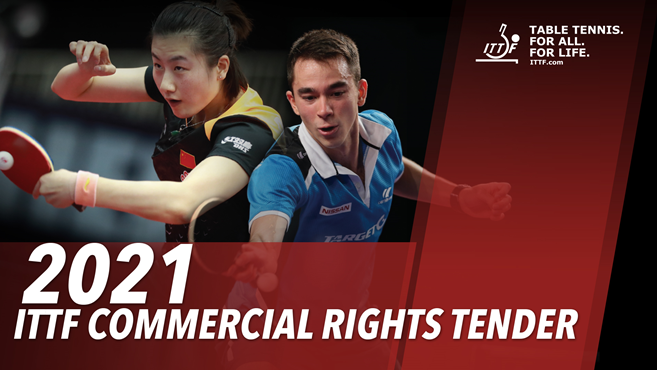 From 2021, all commercial rights to all major international ITTF properties will be available and the body wants to remodel the way in which these rights are monetised. The comprehensive range of commercial rights available covers the areas of sponsorship, media, digital, social and TV, gaming and data, event hosting, licensing, players, corporate social responsibility and future products. "Played by over 300 million people worldwide and attracting 291 million viewers across 140 different countries [in 2018], the commercial potential of table tennis is enormous," an ITTF statement read. "The sport already boasts a strong presence in many high-growth Asian countries (forecast annual sports market growth of eight per cent over the next five years) and considerable untapped potential in several rapidly growing markets, including India, Brazil and the USA." Those looking to express their interest in receiving the full tender documentation immediately upon release can do so by completing a form here. 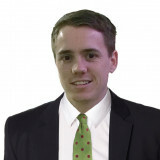 The tender process is being supported by the Sports Business Group at Deloitte. The ITTF confirmed in December it will establish a "commercial vehicle" to handle all its commercial rights from 2021. The announcement was billed as the "most significant" decision approved by the ITTF Executive Committee at its final meeting of 2018 in Incheon. The meeting took place during the ITTF World Tour Grand Finals in the South Korean city. It was revealed that the ITTF Executive Committee had endorsed work done by its marketing department and the Sports Business Group of Deloitte on the 2021 tender process.